The university is indigenous to Western Europe and is probably the greatest and most enduring achievement of the Middle Ages. Much more than stodgy institutions of learning, medieval universities were exciting arenas of people and ideas. They contributed greatly to the economic vitality of Oxford, Cambridge, and other university cities and served as the birthplace for some of the era's most effective minds, laws and discoveries. This survey traces the growth of the largest medieval universities of Bologna, Paris, and Oxford, along with the universities of Cambridge, Padua, Naples, Montpellier, Toulouse, Orleans, Angers, Prague, Vienna and Glasgow. 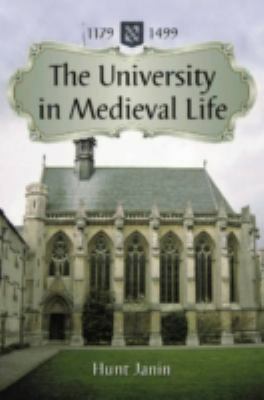 Covering the years 1179 1499, it discusses common traits of medieval universities, major figures associated with each, and the role of the university in medieval life.